“There’s a pig on the ground. There’s a pig at full forward!” – Sandy Roberts, Channel 7 commentator. 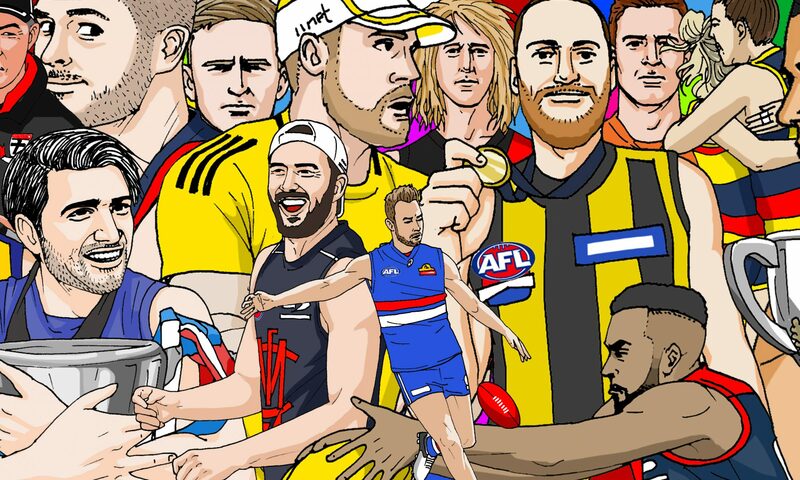 THE FIFTY is an AFL journal that was founded by a group of writers in 2017. Its aim is to celebrate the game of football and its culture through good writing. We hope to emerge into an open and disparate publication for the thinking football fan. You won’t find breaking AFL news here. There are other spaces for that. We publish essays, features, predictions, interviews and opinions about football. We cover big and small things, explore football nostalgia in an engaging manner and any football endeavour is on the table with the intention of good, detailed writing. Send submissions (with a word count, brief bio and 2-3 lines on what your piece is about) and questions to our editors at thefiftyfooty [at] gmail [dot] com. We are working toward funding and will be launching a crowdfund campaign at the end of the season in the hope we can get enough to pay contributors for their essays and features.